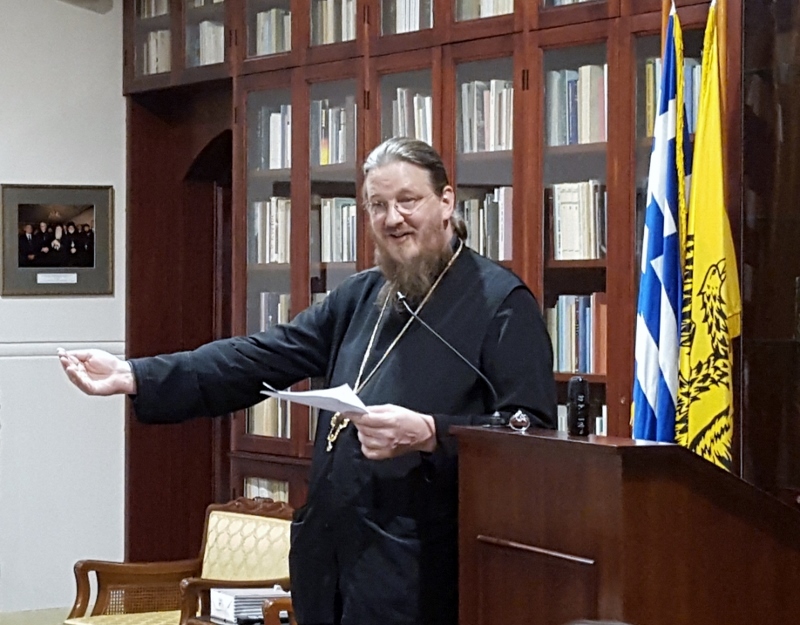 On Thursday 30 June, St Andrew’s had the honour of hosting the Very Revd Professor John Behr, Dean of the prestigious St Vladimir’s Seminary (Crestwood, New York). 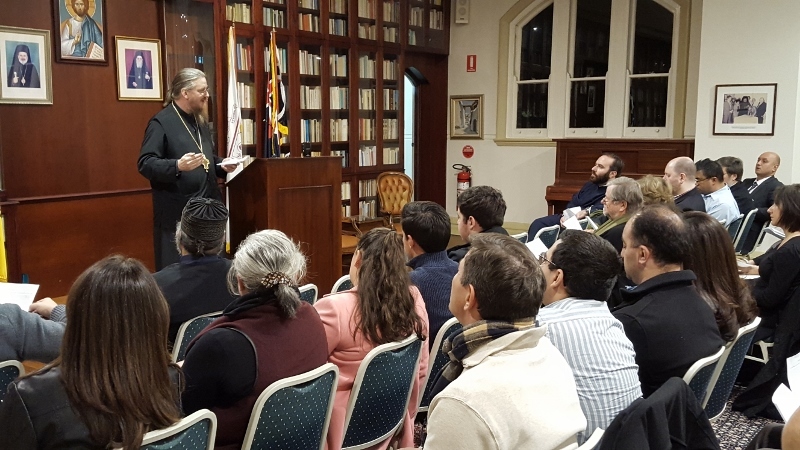 Whilst encouraging the participation of the 120 attendees, Father John discussed the topic ‘“Dying to Live!” Becoming Human in the Early Church.’ The talk consisted in analyses of the Scriptures, the writings of the Fathers (especially St Irenaeus of Lyons), and the services of Holy Week. 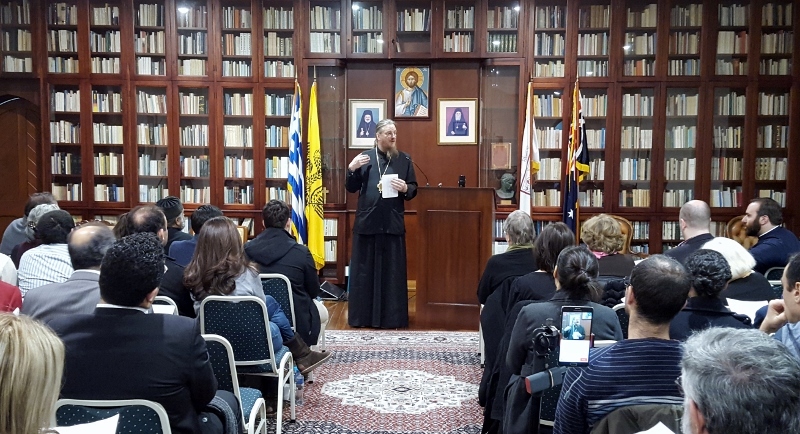 More precisely, Father John discussed the traditional notion that each member of the Church must to die to the world in order to live. Father John reiterated that we become human by denying our selfish interests and imitating the Lord’s altruistic compassion, best evidenced by the Crucifixion. The talk was followed by a very engaging Q & A session. 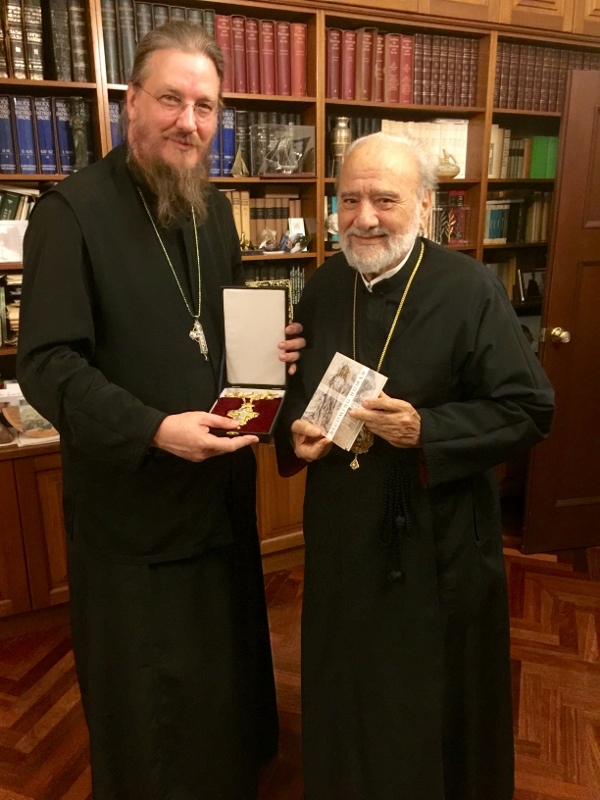 Fr John was first greeted by His Eminence Archbishop Stylianos (College Dean). 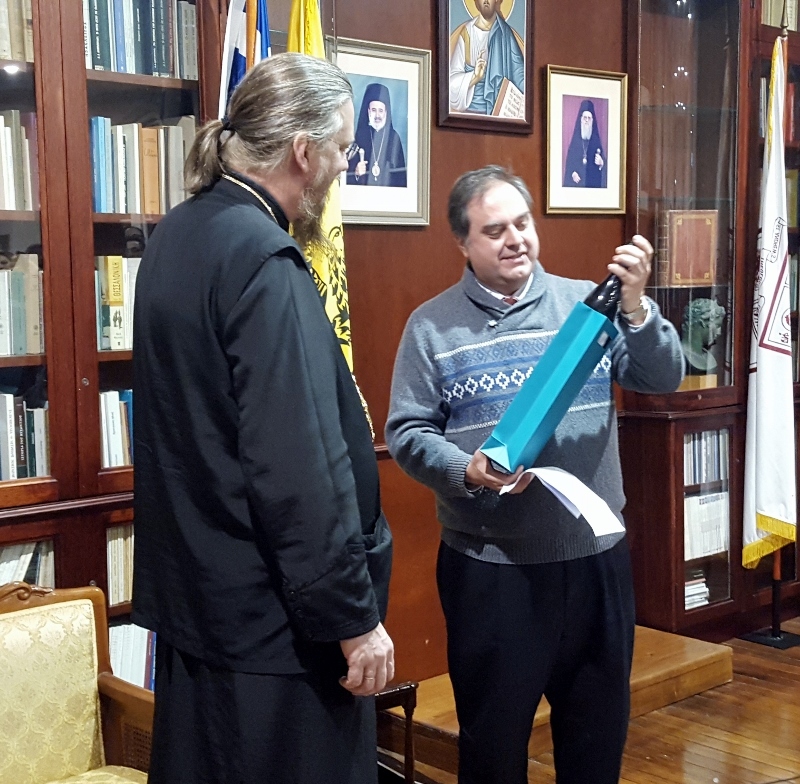 His Eminence and Fr John discussed some of the challenges faced by providers of theological education in the 21st Century, as well as matters relating to theology more broadly.